Ever wondered how to write a song? Want to write better lyrics but don't know how? Want to know what makes a good songwriter? Well today I'm going to share with you some of my best songwriting tips, so you too can put together a professional sounding song, even as a beginner. This guide will help you no matter what genre of music you make, and whether you want to write lyrics as a singer, rapper, or any other type of musician. I suggest you save the link to this page so you can refer to it whenever you want. And if you enjoy this article, please share it via social networking sites as a thank you, and / or link to it from your own site. You can click the navigation buttons below to see specific subjects. Otherwise, feel free to scroll down to read this guide in full. 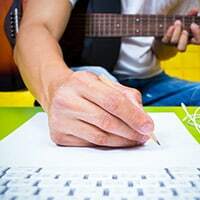 1: Different Approaches To Writing A Song - Should You Write To Music? 9: Song Structure For Beginners – Which Order Do Things Need To Go In? Getting a pre-made instrumental / beat / backing track before anything else, and writing to that right away. Note: we’ll be using instrumental / beat / backing track interchangeably during this article, but we’re essentially talking about the same thing. Both methods have their pros and cons. For example, the first method means you can write lyrics no matter where you are, which of course is a good thing. 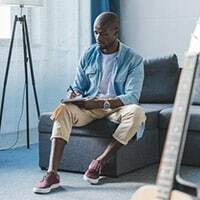 All you need is somewhere to write the lyrics down (so you remember them later), and the motivation to create a great song. And if you have a smartphone, you can use a notepad app to write your lyrics on the move. 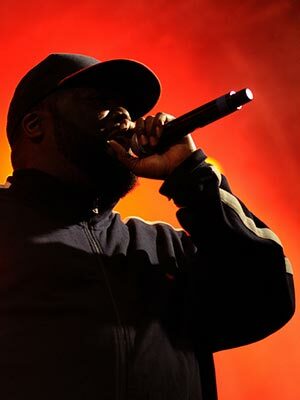 You can then match your lyrics to a beat later on, or simply sing or rap them acapella to your audience. This method can be very handy, as many song writers get inspiration at the weirdest times. You could be sitting on a bus and get an idea for a song, or you could be half asleep and suddenly jolt awake as you think of an epic chorus. Of course, in these instances it's not really practical to bring out your music player and start finding a backing track to write to. When inspiration hits like this, it's often a better idea to simply write down your ideas on your phone or on a bit of paper, and finish it off later when you are in a better position to do so. This is why many song writers walk around with their note pad to take down any lyric ideas that come to them. The downside to this method however can be finding the right backing track after. 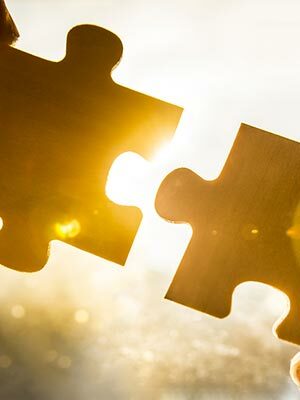 It can occasionally (not always) take a while to find the perfect instrumental to fit with your lyrics, so bare this in mind if you decide to take this path. The other option is to find a beat first, then write lyrics over it. If you want to develop the skill of writing lyrics to a song, you need to pay close attention to the melody or rhythm of the backing track in question. 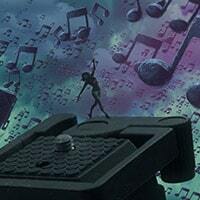 If you have a beat or instrumental you want to write something to, you need to play it and listen to it for a while. Get a good feel for the song, and allow inspiration for ideas to enter your mind. You should try to make the lyrics you're writing down connect with the way the instrumental makes you feel. The more feelings and emotions you inject into your lyrics, the better the song will usually turn out. Some musicians however, find it hard creating lyrics like this. 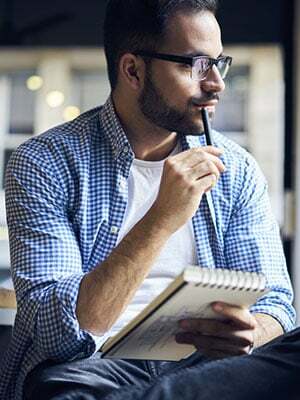 If you're having troubles using this method, a good idea is to think of a subject for your song first, then write to the beat once you have a subject matter firmly in your mind. This will then allow you to focus only on writing lyrics around this theme, and writing to the same speed and structure of the backing track. You don't have to stick to just one of these two strategies, you can try both and see which one works best for you. I know people that use both methods at different times, so don't feel you have to just stick to one. 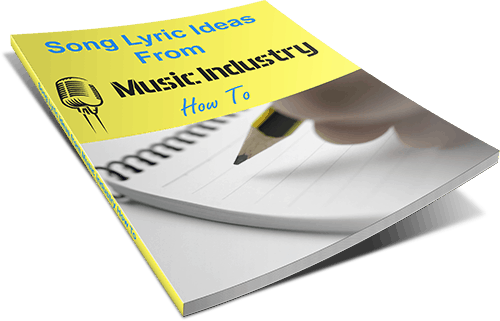 Coming up with a subject for your song is the first thing you should aim to do before you start writing lyrics. While it's not 100% essential, it's often a good idea to have your song following a rough subject matter. Some songs don't have a set subject matter, but can still do well if they're catchy and appeal to a specific target audience. That said, choosing a subject matter will make things a lot easier for you when it comes to writing song lyrics. 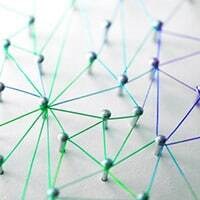 It'll also mean that your fans will be able to connect with your song on a deeper level, as they will be able to relate to what you're saying. There are a few ways to come up with ideas for your songs. Firstly, you can build on a line that you have already created. You may have written down a line in a moment of inspiration, and you may find you can create a whole song around the theme of that line. This is often the easiest method, as you most likely have feelings about this subject if you've started writing about it. A second method is to decide a specific subject you want to write about and go on to create your lyrics from there. So for example, if you have a hobby you love, you could write a song around that. Or you may see something in your house or on TV which you have an opinion on, and think it will make a good song. You can then write about it accordingly. A third option is to brainstorm song ideas. This can literally be ideas around anything, it doesn’t matter what at this point. To start the brainstorm, have a think about all the things that has happened to you today. Anything worth writing a song about? What about things that have happened over the last week. Or last year even. By going that far back, you will be able to find plenty of subjects you can write songs about. The main thing is that you get ideas for potential songs written down, no matter how silly they sound. Later on in the process, you can go over all the ideas you brainstormed and see which ones you could and couldn’t make good songs about. Pick one to go with initially, and save the rest for future. 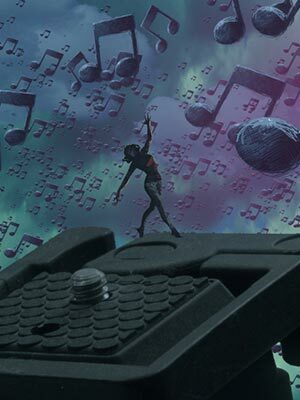 A final option is to get inspiration from a backing track. Sometimes when you listen to a beat, you’ll start to get ideas for what a song should be about. Ideas will flow to your mind, and you can pick one of these and build out the song from there. I’ll show you where to get backing tracks later in this guide. There’s nothing to say you have to use just one of these methods to coming up with a song idea. You can use as many as needed. Now, before we look at actually writing your lyrics, let’s briefly look at the elements of your song. It wouldn’t help you if I just said “write down what you feel in anyway and you’ll have your first song”. In reality, while you would have some words written down, it wouldn’t necessarily be a song. An Intro (also known as an ‘introduction’). The Breakdown / A Bridge. Not all of the above elements will be used in every song you write. In fact, the verse is the only one you 100% need to use. When writing your first song, I suggest you only write a verse and chorus, at least initially. This is so you don’t over complicate things, and worry about missing anything out. In the interest of clarity though, let me explain what all of these elements are so you can use them when you get more comfortable with songwriting. I also give video examples of each element so you can see them in practice, not just read the theory. We use Dappy’s song ‘No Regrets’ for these examples as it has most elements in there. The only elements that song doesn’t have is a drop, so for that we use Shy Fx’s ‘Original Nuttah’ song. In your average song, the verse is the single element which takes up most of the song’s time. This is the section that explains the story of your song in the most detail. Depending on your style of song, you may have two, three, four or even more verses. The traditional pop song generally has around three versus, with two verses being the second most popular. This is the only element which is a hundred percent essential to a song. 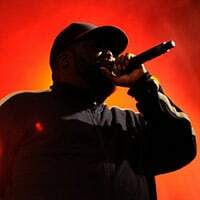 There are some songs which don’t have any of the other elements and are made up purely of one long verse; this is mainly done on hip-hop ‘freestyle’ songs. Here’s some examples of verses; note that the video will start playing from the correct place for all these examples. * Note that from 2:20 to 2:42, this could also be classed as a breakdown. More details below in the ‘What Is The Breakdown And A Bridge’ section. Also, notice how the choruses are in between these verses. But we’ll talk about the other elements of this song below. While not every song has a chorus, the majority of them do. In fact, choruses are probably the most important element to a song because they’re often what makes people remember it. A chorus is usually repeated multiple times during the song between the verses and other elements. It’s often catchy and sums up the core theme of your lyrics. Here’s some examples of choruses. This time the chorus is played three times, each in a different way. Note: 3:35 to 3:58 can also be classed as an outro, with the chorus being sung on the outro. So they overlap. An intro, a.k.a. introduction, is anything that is written for the beginning of the song. Sometimes this is someone talking, sometimes it’s them singing ‘ooo’s and ‘arr’s, or sometimes a musician will even sing or rap there. The main thing is that it’s all done before the main part of the song, either chorus or verse, comes in. Note: In some cases, people add their chorus in the intro, although this is not that common. Here’s an example of an intro. An outro is pretty much the same as an intro, but it’s done at the end of the song instead of the beginning. This helps wrap up the song and can give a conclusion to the listener. Here’s an example of an outro. *Note that from 2:53 to 3:58 can also be classed as chorus 3 as the chorus is sung on the outro. A ‘breakdown’ or ‘bridge’ is a part of a song where things change up. Normally the backing track has less going on or the melody will change up, and your lyrics can be presented in a way to match this. In this break down, you can either talk, leave it free from any lyrics or voice, or sing your lyrics as normal. Whatever you decide to do, try and make it sound different from the rest of the song. It’s usually slower and more mellow than the rest of the song, so when the song returns to it's usual pace, it has more of an impact on the listener. The breakdown can be placed at any point after the first verse of the song, but often it’s placed before the final set of choruses so it leads up to a ‘big finish’. A bridge is more typically a ‘lead in’ section; e.g it’ll lead in from a chorus to a verse. Not all songs have these sections, but they can help make your song less repetitive and more exciting when done correctly. Here’s an example of a bridge. Here’s an example of a breakdown. Note that from 2:30 to 2:52, this section could also be classed as ‘verse 3’. I personally really like pre-choruses. While they’re not used in most songs, when used right they can really help make your song stand out and catchy. A pre-chorus is something that goes in front of most (if not all) choruses in a song. Like a chorus they are often catchy, but done in a different style to the main chorus for differentiation. Here’s some examples of pre-choruses. A ‘drop’ is a term that is used in certain genres of music; usually dance related genres. It usually comes after the intro, where the intro is more mellow and leads up to the drop. When the drop comes, it’s usually a lot busier than what came before. So if you’re writing lyrics, you’ll want to make your lyrics that come at the drop really hard hitting and more powerful than in the intro. Here’s an example of a drop. At 1:17. But watch from 1:01 to hear how it ‘drops’ at 1:17. Note: We’re not going to write the song in the order it will be performed as you’ll see below. Instead we’ll write it in a way which will be easiest for you, then we’ll structure the song after so it flows better. If you’re a beginner songwriter, the easiest way to start writing your own songs is to begin with a hook (also known as the chorus). If you're writing to a beat, you’ll want to listen to it for a while, and begin writing down everything that starts coming to your mind. These will usually be a line or two of lyrics, or a set melody structure you can write to. 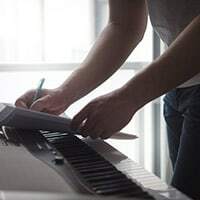 Once you have brainstormed a few ideas onto paper or your chosen songwriting device, you will hopefully have a stand out idea you can base your chorus around. If not, continue with this process until you do. You may also find you have written more than one idea for a good chorus. If this happens, pick the one that is most suited for this song, then save the rest for other future songs you write. 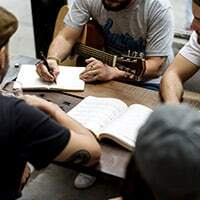 That songwriting tip will mean that you are already ahead when it comes to creating a new piece, and will make the song writing process a lot easier the next time around. 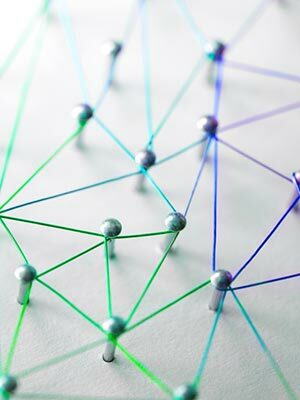 Developing a good chorus is critical when it comes to making good songs, because the chorus is what connects each verse to one another. While it doesn't need to rhyme, it will need to be catchy, and instantly grab the attention of people that hear it. While there are some exceptions to this rule, writing catchy choruses are often the way to go. Depending on your target audience, you may also want to make your song lyrics easy to remember. If you keep your chorus lyrics basic but easy to sing along to, this can help your song stay in people's mind without making it cheesy. This will mean more people will hear it. As not only will it get played more, but people will be singing your song so others will hear it like that. If you don't want to go for a fully catchy chorus but want people to sing along and support your song, another option is to look for current news that most people are debating about and try to incorporate how you feel about the matter into your lyrics for the chorus. Nine times out of ten, there are other people out there that feel the same way you do about the subject. This will give you an audience that will support your song simply because they can deeply relate to what you are talking about in it. One key thing to remember, is to try and make your chorus flow smoothly with the melody of the instrumental. It doesn't matter how good the lyrics in your song are if they are off beat, so make sure you make your lyrics and song sound like they belong together. Pro Tip: While choruses are usually largely the same throughout the song, it’s common to make the last chorus a bit different. You can do this by singing it in a slightly different way, or maybe even slightly changing the words. What this does is help keep listeners attention till the very end. If they know it’s just another chorus sung or rapped in exactly the same way coming up, they’ll be more likely to switch over to the next song earlier. If however you do something different with this last chorus and go for a big finish, more listeners will listen through to the end. What Is The Difference Between A Chorus And A Hook In Songwriting? The main difference is that a chorus is this whole section. On the other hand, a hook is a line or two which is especially catchy that people often remember first when thinking about your song. Your hook will be part of your chorus. Does A Song Need A Chorus? So does every song you make need to have a chorus? While the majority of songs do have a chorus in them, in certain genres it’s more acceptable not to create choruses. An example of this are rap songs. There’s a certain type of song you can write called a ‘freestyle’ track where you only have one long verse. On it you just write about various subjects, as long as they flow together. That said, on the majority of other songs and in the majority of other genres, your song will need to have a chorus. For your first few songs I would encourage you to write a chorus as it will help you have a good starting point and a theme for your song. 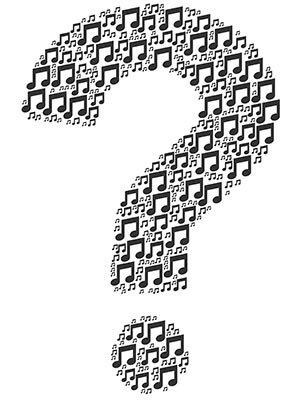 How Many Choruses Should A Song Have? There is no set number of choruses you should put in a song. Some songs have no choruses while others have many. Generally though, a pop song would have four choruses. One after the first verse, one after the second verse, and two after the third verse or breakdown. We’ll look at song structure later on so you can see more potential ways to do this. If you want additional help with writing choruses specifically, have a read of our guide on how to write a chorus. So now you’ve written your chorus, the next step is to decide if you’re going to write a pre-chorus. As I mentioned, the majority of songs don’t have one of these, but if you want you can add one. The main thing to do when writing a pre-chorus is to make sure it leads into the main chorus smoothly. You want it to contrast with the main chorus so they don’t sound too similar, but at the same time you want it to complement the chorus so they sound good alongside each other. Once you have your song's hook, you now know what the subject of your song is going to be. So now all you have to do for the verses is make them stay consistent with the theme of the song. In your first verse you want to grab your audience’s attention quickly so they want to hear more. The first verse is where you need to inject the most emotions into your lyrics, as it's often one of the first things your listeners will hear. A great way to get ideas for the first verse is to use the phrases you used in your chorus. This will of course mean that the subject matter stays the same, and will also sound more familiar and appealing to the listener. In the 2nd verse you continue to build on everything you stated in the first verse. Make sure the 2nd verse is still going on with the same theme, so anyone that has connected with the song so far will continue to be absorbed with what you have to say. The great thing about song writing is that you don't have to include a lot of details about everything you're saying in the song. It's possible to keep things relatively brief while still getting your message across to your audience. If you decide to include a 3rd verse in your song (this will depend on how long your song is already and whether or not you've anything else to say), this 3rd verse should once again keep the theme of the song going. Don't go too far off topic, and start getting ready to end the song. When you are finishing the song, you should end it with a strong final message. How Many Verses Should A Song Have? It varies; in theory you can add as many verses as you want. As a general rule for most songs though, you’re going to want two of three verses. Usually three. Many songwriters add three verses, but if they use two, they often add a breakdown section as well. When we look at songwriting structures below you will see some examples of ways to use both two and three verses. You can find more details on how to write a verse here. If you decide to have a bridge in your song, you need to find some way to differentiate it from the chorus and verses you write. You should make the bridge section still on the same topic, but maybe from a slightly different perspective. For example, if you’re writing a love song, you may have the chorus and verses about pursuing your love and trying to win them over. But in the bridge you may start talking about how you would feel if you couldn’t have them. Then when you get back into the final chorus it will switch up again and go back to the original point of view. Another way you can write a bridge, is by making it catchy and going over what you’ve previously talked about in the verses or chorus; just in a different way. If you’re writing to a backing track and there’s a bridge section, you might not even want to write a bridge. Sometimes music by itself is enough, and it’s better to have the music do the talking rather than your lyrics. A final idea is to do ad-libs in the bridge. For example ‘oohs’, ‘oooos’, yeeers’ etc. These are probably some of the easiest parts of the song to write: the introduction and the outro. You want to write everything else first as these won’t take that long to do. Furthermore, once the rest of the song is written, it’s much easier to decide how to do the intro and outro. To get an idea of what you should put here, go back and listen to some of your favorite songs. You’ll likely find that these sections are all done in different ways. For example, some of the songs may not have anything in terms of writing in the intro or outro. They may just have the backing track and that’s all. Others may have the performer talking about something that’s related to the song’s theme. Some will have the performer making singing or rapping noises. My main point is that you can do anything you want to, so you’re not really restricted about what you write about (if you decide to write anything). When I make songs, I personally like to write them in full other than the intro and outro. Only when I get the instrumental I’ll be performing the song to, do I think about the beginning and end of the song. At this point I’ll know how long the sections will need to be and what kind of emotions the backing track brings out in me. I find that this is the best way to get the best intro and outro for my songs. One great thing about this section is it’s pretty easy to change. While changing a whole verse or chorus for example would be a bit more of a big task (though not impossible), if you want to change the way you finish the song for example it’s not long or hard to do. So even if you’ve got an introduction there, if you wake up the next day and decide that something else would go better, it’s pretty easy to switch up. 9: Song Structure For Beginners - Which Order Do Things Need To Go In? Now you know how to write each element of the song, let’s look at how to structure a song. After all, you want your song to sound as professional as possible right? If so, there are a few set structures you will want to use. What Is A Song’s Structure? Simply put, the song structure is the order in which you put the elements such as your chorus, verses and the rest. That’s not to say that no one has ever structured a song like this before, but if they have that song has never made it to the mainstream. This is because hit songs generally follow the same few structures. The reason for this is it allows you to tell a better story when writing a song, and it makes it much easier for the listener to follow. Also, because music listeners are used to hearing songs flowing in a particular way, if you go too far out from what they expect, your song is going to become a lot less relatable to them. As always there are exceptions to this rule. But at least when you’re starting out, I would highly recommend you using proven song structures. As this article isn’t all theory, I want to give you some real-world practical examples. So here are a few song structures you can use. Intro > Verse 1 > Chorus > Verse 2 > Chorus > Verse 3 > Chorus > Chorus > Outro. Intro > Verse 1 > Chorus > Verse 2 > Chorus > Bridge / Breakdown > Chorus > Chorus > Outro. Chorus > Verse 1 > Chorus > Verse 2 > Chorus > Verse 3 or Bridge > Chorus > Chorus. Intro > Verse 1 > Pre-Chorus > Chorus > Verse 2 > Pre-Chorus > Chorus > Breakdown > Chorus > Chorus > Outro. Normally for EDM / dance / electronic etc style songs: Intro > Drop / Verse 1 > Chorus > Verse 2 > Chorus > Breakdown > Chorus > Chorus > Outro. As you can see there are many different song structures you can use. In fact, the above are only scratching the surface. In reality you can tweak these as needed to make your song slightly different. But, at least initially, I would definitely try to go with one of the above proven song structures so you learn how traditional songs are made. When you have a good feel for this, you can write your own song structures and experiment with both what you and your fans like. 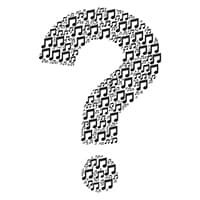 Are There Proven Song Structures Hit Songwriters Use? Yes there are. If you write a song in any of the structures shown in the ‘Popular Song Structures’ section above, you’ll know that you have got this part of things right. Many of the biggest songwriters in the world use these structures as they are tried and tested. So you won’t go wrong with any of these song formats. Once you are done writing your final verse, it's time to read the lyrics you just wrote, and make any necessary changes to the song to make it better. Going back over your work will allow you to spot errors and make sure the overall concept of your song works together. It's also a good idea to sleep a night or two on your draft copy of the song. This will allow you to see things fresh and see if you can change your songs for the better in any way. There’s nothing to say you can’t change a song once you have written and structured it already. Sometimes I write songs, feel like they are finished, then go back to them weeks later and change something up. I sometimes feel like the song isn’t quite working how it was originally written and something needs to change. Or maybe I just have a different point of view on the subject and decide to incorporate that into the song as well. Songwriting is an ongoing process, so even if you checked your lyrics and feel they’re perfect one day, don’t be afraid to go back and rewrite parts of your song in future. It’s an art not a science, so do what feels right. The great thing about songwriting is that you don’t need a bunch of tools, apps or software. That said, there are a few things which you will probably want to use to make things easier. 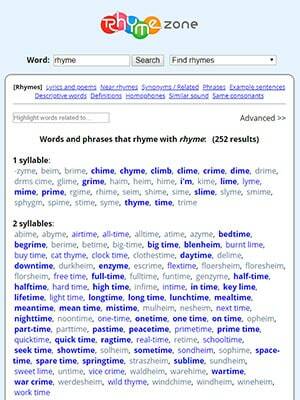 My favorite songwriting tool: Rhyme Zone - the best rhyming dictionary online. 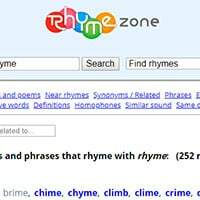 If you struggle to find words that rhyme with each other for your song, or even if you just want to find potential words to use quicker than normal, rhyme zone is the tool for you. Simply type in any word, and they’ll quickly give you a bunch of words that rhyme with it. My favorite songwriting app: ColorNote (for Android). This is an Android and Amazon note pad app. You can also use something like Evernote if you have an iPhone. Although these apps are simple to use they come in very handy. They’re basically a place to write down lyrics on the move using your smartphone. 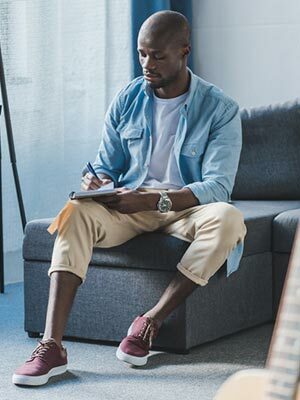 As soon as you have an idea, you can write it down here fast rather than searching around for ahow to structure a song pen and paper. You can also filter your lyrics if needed and send it to your email account to be downloaded to your computer later. A must use. For those who use chord progression: If you're interested in writing a song using chord progressions, something like Chordbot should be able to help. They have both a free and paid version. So there you have it; with the above you pretty much know how to write a song. That said, there are additional tips for songwriting I can give you to have you writing much better! Depending who you ask, songwriters like to write their lyrics in different ways. Some like to do so on their laptop or computer, some on their phone, some using good old-fashioned pen and paper. I’m a strong believer you should write your songs in the way which makes you most comfortable and gives you the best results. That said, I’m also a strong believer that you should always backup your lyrics digitally. I’ve written hundreds of songs over my time. And while many are backed up on my computer, there are many which I didn’t get round to backing up and have been lost forever. There’s nothing more frustrating than writing a bunch of good lyrics on your phone, losing or breaking that phone, and not being able to remember what those lyrics were. Just that they were some of your best, and you’ll likely not be in the same thought process to come up with them again. So even if you write your lyrics on paper, be sure to back them up digitally regularly. I personally use Dropbox for this as it allows you to sync your lyrics across all your devices. So even if your phone or laptop breaks down or gets lost, you’ll still have a copy of your songs in your Dropbox. I touched on this briefly above, but don’t feel like you need to write each song all in one go. Songwriting is a creative process. And while some great songs have been written in one sitting, there are other great songs that have been written over weeks, months or more. As you become a better songwriter, chances are you’ll look at your old songs and see ways you can improve them. As long as that song hasn’t already been released there’s nothing to stop you going back and improving it. Some people prefer to just write new songs instead of going back and reworking old ones. But in my opinion, if you have a good song there which can be made great and used in future, why wouldn’t you update it? This is a tip which many people find hard, but can be really useful when it’s done. When I was starting out with songwriting, I used to ask people what they thought. Initially I asked family, and of course they would tell me “it’s good”. Asking family and friends will usually get a dumbed down reaction. These people know and love you, so generally they aren’t going to turn around and say that the song you just spent hours writing can be improved. I know that having someone analyzing your song can be hard, especially when the comments aren’t fully positive. But if you want to become a better songwriter, constructive criticism can go a long way with helping you achieve that faster. A good idea is to go on songwriting forums and get constructive feedback from people who are in the same boat as you. Just be sure to let them know what you feel about their songs too so it’s a mutually beneficial relationship. If you’ve already begun writing a song, you may find that you’ve spent ages thinking about one perfect line to put next in your verse. But no matter what you do, you can’t think of that next line. If you find yourself staring at a blank piece of paper or computer screen, chances are you’re trying too hard. Your first song is never going to be perfect. At this stage you’re just practicing and learning what goes where. Even if you read this guide in full and have all the techniques in order, the songs you write in half a year from now after consistent practice will always be better than the one you write today. This is because songwriting is something which naturally gets better with practice. It’s because of this that I wouldn’t try too hard to get the best line ever in your first song. Instead, the important thing is to just get something written down! Even if you only have a broad subject to write about. Just think about how you feel about that subject and the early thoughts that come to your mind. Get them down in writing, even if they don’t fully flow or rhyme. Keep doing this until the page is full up and you will find you have the core ideas behind your song. Now you can open a new sheet and start writing and structuring a song around these ideas. Your first drafts won’t always be the best - but they don’t have to be. Over time you will improve the song as you get better. Just get your first song written. If you like how it turns out, you’ll love how your future songs end up as you improve over time. I hope those beginner songwriting tips were helpful. While there will be times where you write a song with no melody or backing track, other times you will hear a backing track you like and want to write a song to it. In this instance the backing track will already have a melody in place. 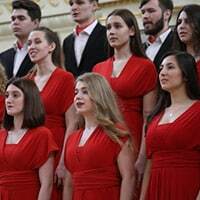 You’ll want the lyrics you write and the backing track to sound as one, so you’ll need to write your song in a way which suits the existing melody. The best way to do this is by getting a feel for the melody first. To do this, simply listen to the instrumental a few times and start humming it. By doing this, you naturally start to understand how the song flows and the high and low parts. This will show you one of the ways you can potentially do your lyrics. Once you have a good understanding of the melody, next you’ll want to begin writing your song to it. Simply start throwing words in there while you’re humming the melody. So you may be humming and start feeling emotions or feelings at certain points which you want to express. Just throw those words out there and see what comes. If you already know what the song subject should be, of course throw out words related to that. But if you’re not sure yet, see what you naturally want to talk about while you’re humming the song. It can take a while to feel comfortable doing this. But once you do and you really get in tune with the song and that melody, you’ll find it a lot easier writing future songs like this. While you don’t need to write perfectly to the melody throughout the whole song, some of the best songs have choruses which match with the melody. For example, when some parts of the backing track in the chorus goes up, you find that so does the vocals. And while some parts of the instrumental play faster in the chorus, so will the lyrics. The key thing about writing to a melody is really feeling the melody and the way the song is flowing. If you can do this, from here it’s a case of matching your lyrics and vocal delivery to the song. This isn’t an area I will spend too long on as it’s more of an advanced songwriting topic that could have it’s own article (which I may just write). I think is important to mention it here though as it’s something that can really help broaden your songwriting skills. When you write a song with someone else, you’re both coming from different places. You have different experiences on similar subjects, and you have different songwriting processes. While it can be difficult to make work initially, you may find that you both grow as you learn from what each other do well. If you haven’t written any songs yet, you’ll probably be better off creating one by yourself first. This is so you can get used to the process before working with anyone else. Make sure you both know the aim for this song. Are you writing it for fun? Who are you going to say owns the song? If you release the song, how will you split any money you make from it? All of these questions should be asked and answered before you sit down and write with someone. Make sure you’re both comfortable with the answers and get your agreement in writing. Be open to a different way of doing things. Everyone writes songs in their own way. So while you should give suggestions and bring your own style of songwriting, be open to theirs as well as you might learn something new. Except that the finished song may not be perfectly what you want. There will be times when you really want your song to go in one direction, but as you’re collaborating, you may find that your fellow songwriter wants the opposite. In this case, if you want the project to go ahead, most likely you’re going to have to compromise. Hopefully the song you collaborate on will still turn out in a way you’re both happy with. If it doesn’t, you might just have to accept that and move on to your own solo work. Collaborating on a song with a friend or other musicians you trust can be great. But if you’re new to songwriting, I’d suggest you focus on your own songs initially. As with collaborative songwriting, I won’t go into this too much as it’s past the scope of writing a song. But if you want to actually record the song you write, it’s possible to do. In short, you get the backing track you want to record your song to, practice, then rent out a recording studio and studio engineer. Be sure to book for an hour or two, leaving time for them to mix the song after it’s recorded. Normally within two hours you can leave a studio with a copy of the song you’ve just recorded! Do You Always Need To Have Experience With What You’re Writing About? No. While some of the best songs are spoken from the heart or in enough detail where it’s clear the performer actually has experience with the subject, this isn’t essential. Many popular songs have been written by people with no experience in the area. For example, in the hip-hop industry, there are songs which become popular that are based around certain unsavory acts. But if you get to know some of these songwriters, you’ll discover that they haven’t done any of the things they speak about within their songs. Instead, they see their lyrics as an expression of their art, rather than a lifestyle they would actually live. If you’re asking my personal opinion though, I would suggest that you mainly do songs on subjects you have experience with. And if you want to talk about a subject which you don’t have direct experience with but have feelings about, do it from that point of view (letting people know your thoughts on it, rather than saying you’ve done something when you haven’t). In some ways it can be good because you get to hear what goes into a good song. From there you can use some of those tips to create your own unique masterpiece. The downside with this though is that sometimes people find it hard to come up with their own style after studying other musician’s material. If you only study your favorite musician’s style for example, chances are when it comes to writing your own song, it’s going to sound like the person you learned from. I recommend you start out writing your own songs without studying any other songs. Then after you’ve written a few songs, try something called ‘active listening’. How are their songs structured? Did all of the lines rhyme with at least one other next to it? And how did the rhymes change throughout the song? How did the vocals change in pitch when they’re singing or rapping? Did the lyrics speed up and slow down? Or are they at a consistent speed throughout? How did they do their intro and outro? All of these things and more, look at and make a note of them. See what comes up time and time again across different artists and maybe even different genres. These are the things that you might want to put into the songs you write. That said, you may also want to change these things on your songs to make yourself more stand out. Just don’t change them so much that people begin not to like what you’re doing. Do Your Songs Have To Rhyme? A common myth that many new songwriters hear is that your lyrics have to rhyme. This isn’t actually true. I explain why here, so check it out. Does Your Genre Have An Impact On How You Write A Song? And Should Rappers Write Songs Differently Than Singers? In terms of songwriting skills, your genre of music can play a role in the type of song you write. That said, the above guide works regardless of which genre you’re in. This is because these core songwriting skills are the same across all genres. Yes you may write at different tempos and about different subject matters. You may even write in different styles. But the process used to write a song and become better at songwriting is one that’s universal. The same rings true when you’re comparing how singers write a song and how rappers write lyrics. A lot of the theory is the same, but of course the delivery of the song you write will be much different. For those wondering if you need to go to college or university to study songwriting, most likely you don’t. One of the best ways to improve your songwriting is by practicing over time. I do encourage you to read this guide in full multiple times (so save it for easy future reference), and maybe even talk to other experienced songwriters to help open your mind to new styles. That said, getting in a lot of higher education debt in the hopes of writing a good song is 100% not necessary. How Long Should Your Song Be? This is another question I get asked a lot, so I answered it here. How Many Words Should Your Song Have? It’s impossible to say how many words your song should have as the amount of words you use doesn’t directly correlate with how long a song will be. Some people will deliver words faster than others, for example rappers usually use a lot more words than singers. The main thing you want to put into place is the structure of your song, and roughly how long you want it to be in terms of minutes and seconds. Once you have those two elements in place the amount of words your song has becomes irrelevant. As long as it sounds good and people like the song, that’s all that matters. Where Can I Find Beats And Instrumentals To Write My Songs To? It really depends on what you want to do with your song. If you’re looking to write a song but not release it, you can get one from anywhere. You won’t need to worry about copyright as you’re only using it for personal reasons, not commercial ones. That said, I’ll still recommend you use royalty free music in case you decide you want to share it with others in future. You can find free, royalty free instrumentals on Youtube and Soundcloud. If however you want to record and release the song you write, you need to get a specific type of instrumental. You can buy instrumentals from producers directly by finding ones you like, then contacting them via their social profiles or email address. Alternatively, if you want a quicker option, you can go to websites that specialize in this kind of music. There are plenty of websites where you can get royalty free music to use for the songs you write. You need to buy them, the benefit of this being that you get a license which tells you exactly what you can do with this song. For example, if you want to sell it with your lyrics over them, make sure you buy a song with a license that allows you to do this. To find more royalty free music, simply Google “royalty free music” followed by your genre. Can Song Lyric Generators Help You Write A Better Song? 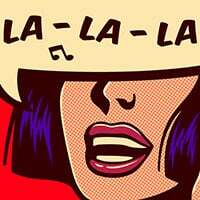 You may not know this, but there are some websites which offer song lyric generators. I encourage you not to use these when writing your songs. You need to remember, that if you’re using these generators to write songs, so are thousands and thousands, if not millions of other people. Because of this, when you create songs using a song generator, the majority of that song has already been used by many other people. So while they’re fun to use and maybe even helpful if you’re looking at song structures, remember that these are more fun than anything else. 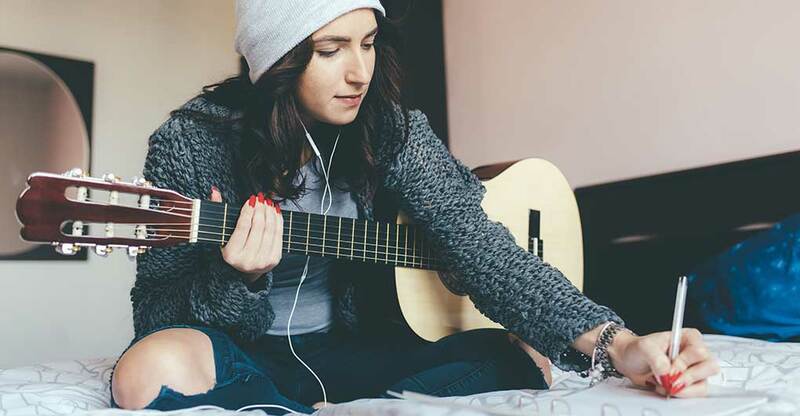 If you want to write a hit song, or even an original song just for fun, you’ll want to steer clear of online song lyric generators. I finish a lot of lyrics while I'm in the water and it's always pretty constructive for me to get out in the water. I'm not actually writing the words down, but I have time to think about words, and doing a lot of surfing usually gives me a little space and peace of mind to finish things up. 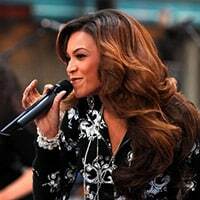 Beyoncé Knowles - the queen of pop & r&b showing that songs can show the best parts of yourself, not the everyday you. 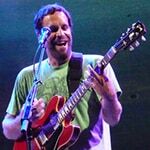 Jack Johnson - a famous singer and guitarist on where he gets his inspiration for writing a song. 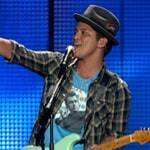 Bruno Mars - showing that even as one of the world’s best songwriters, it still takes trial and error. And that's how to write a song, I hope this songwriting process was easy enough for you! Writing songs isn't hard, but it does require some practice and experience. The more you practice, the better you will naturally become. You will find you start to write your lyrics a lot faster, and you will naturally become better at structuring your songs. Now that you know what you need to do to start writing your own songs, pick up a pen or load up your computer and start writing. Good luck. P.S. As mentioned, this guide is better and more thorough than most courses, books and ebooks on song writing. And I’ve given it to you for free. 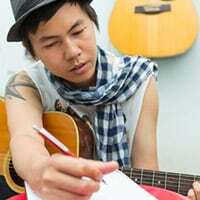 You can get some ideas on being more creative with your songwriting here. Or learn how to write pop songs here. We have a whole category on the subject of song writing, so check it out. If you are working on a song, particularly the lyrics, try to finish it. Because sometimes if you leave the song and come back to it, you can lose the inspiration that you began with. I’ve always tried to do that, but haven’t always succeeded. But the best songs I’ve composed were ones I finished by sticking to it. Something you can’t learn is tapping into that mystical place some artists refer to as their muse. I have had an idea for a song and only had the hook or a couple of lines, and then by playing and singing, the rest of the lyrics just come to me. I can’t explain it, but that’s how it works sometimes. Robbie Robertson and Sting have mentioned similar experiences, even having dreamed some songs. 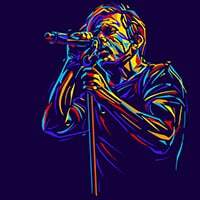 There are many song-smiths who can churn out song after song in a formulaic style and make a great living writing catchy clever songs. Some work in a team. It’s not what I aspire to but it is very successful. As an artist, I have the perfectionist problem. Everytime I create, something can always be changed or added. Eventually a project that takes less than a month turns into a 3-4 months due to my mind always wanting to improve. For example, there’s another artist Big Boi from Outkast. He took two years to create one song because of the obsession over it sounding perfect and always wanting to change it. I am a very intricate and picky writer and it’s honestly discouraging at times. How could one begin to overcome that? Confront the obsession and put it to an end. Once I record and put it out, in my mind I think, “I should’ve said this.” Or “Maybe I needed to add another harmony vocal” Every single time, something is missing in my mind even though it sounded complete. It’s very difficult to me and makes me take extended breaks. Appreciate your input! Nice, I just need help for you guys. I have been writing gospel songs. While this article and video have some very good information the part about not needing details in a song I could not disagree with more. The only exception is writing for sync as yes, there you do not want details because they might conflict with what’s going on the scene. However, aside from that the details are what takes the listener on a journey and allows them to relate to the song thru their senses. Which paints a better a better picture…”I remember way back when we hung out” or ” It was 1989, my thoughts were short my hair was long”. The latter puts you in a place and gives you an image. You may say well Pop lyrics don’t have detail…look at Katy Perry or Keshia…”Before I leave, brush my teeth with a bottle of Jack” not… “I had a drink”. One my song writing mentors, hit writer Jason Blume says it best… A.I.D. = Action Image Details. 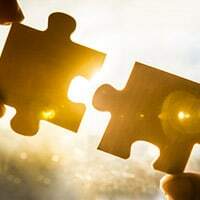 When you add these elements your song goes to another level and will better connect with your listeners. Hi my name is Shreya and I’ve just turned 14 a month ago. I’ve recently found out that writing songs is something which I truly love to do!! Your tips are very helpful!! Thanks so much!! Also my first song is called “scrolling in the dark”. The tips are really interesting to go through. @Alexis I advise you make new friends and ask them to listen to your song. What they tell you will motivate you because I already believe what you create is awesome. I am Conscience from Nigeria. Message me on Instagram. I have been writing a lot of songs but I just need help to see if they make sense. I want to write hip hop like Migos or anyone who’s good. I need help, I’m a beginner. I’m 20 years old and I want to become a songwriter.